The Orange P7 29 ups the ante from its little wheeled brother, a veritable runaway trail train, the 29er version will have the wind whistling in your ears before you realise how fast you're travelling. With a 130mm travel fork up front this bike roars with confidence taking everything before it in its long legged stride. 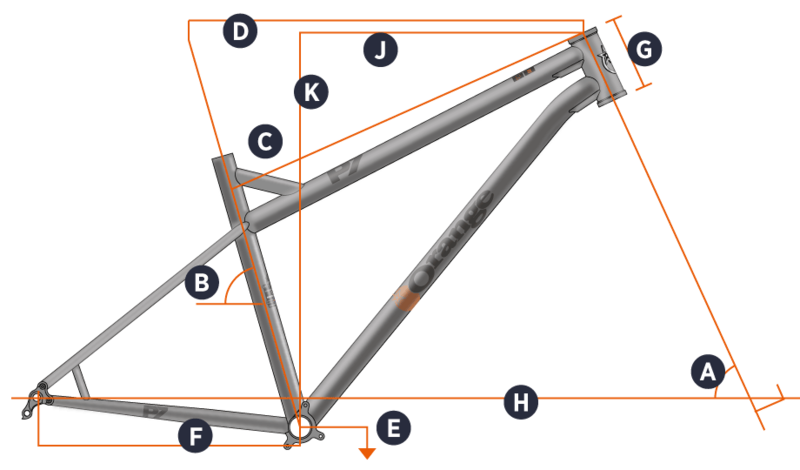 The frame also offers stacks of clearance to allow you to run 27.5+ tyres up to a 3.0 inch carcass if that's how you roll. Fast and raucous, grippy and sure-footed and every level in-between – how you choose to ride your Orange P7 29 is up to you. Sunset Cycles offers the 2019 Orange P7 29 RS 29er hardtail mountain bike with up to 48 months 0% finance and free delivery.